My goal is to assist businesses and entrepreneurs with their marketing and communications support so that you can take your business to the next level! Take the worry off your everyday initiatives. CommCore takes on marketing and communication projects that you have been putting off so that you can focus on your client needs. CommCore truly cares about the success of its clients’ business. We will listen closely to your needs and follow through with fresh ideas that will breathe life into your business. Ready to start connecting your business to the rest of the world? Laura, a native of Omaha, Nebraska, is a hard-working marketing leader with over 20 years of experience in the field. After moving to St. Louis, she received her Bachelor of Arts degree from Webster University and her Master of Business Administration from Fontbonne University. Following her education she worked for several businesses including a Fortune 500 Company. 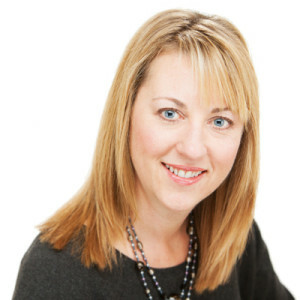 Laura excels at increasing sales and brand awareness, as well as creating successful marketing campaigns and websites. CommCore Marketing is pleased to have recently celebrated their fourth anniversary in business! Whether you need assistance with project and brand management, online and social media marketing, offline marketing, graphic design, or website maintenance, the CommCore Marketing team is here to help! 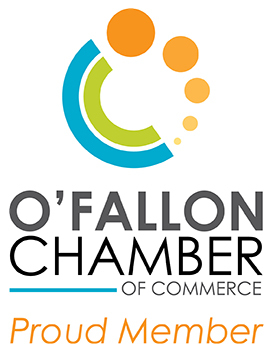 CommCore Marketing is a certified Woman-Owned Business Enterprise, Laura is a 2018 Graduate of Vision St. Charles County Leadership, founding member of the Protégé mentorship project, member of the O’Fallon and Cottleville/Weldon Springs Chambers of Commerce, and a proud supporter of the St. Louis Ambush and River City Rascals teams. CommCore works to increase your visibility within your target markets and grow your business. Take the worry off your everyday initiatives. CommCore takes on marketing and communication projects that you have been putting off so that you can focus on your client needs. "Working with CommCore Marketing has been a great business decision and a real pleasure to work with. Laura and her team have helped us with our website, newsletter, Linkedin, Twitter, and other marketing pieces, teaching us best practices and delivering great results. CommCore Marketing is our go-to marketing resource. They take pride in delivering high quality services and building strong relationships." "We've worked with CommCore Marketing for a few months and find them to be responsive and creative, they work independently, manage many various tasks with weekly updates, and are very cost effective. I'm not aware of much more you could ask from a marketing firm! We appreciate Laura's participation in our company's image and direction." “Laura has shared innovative ways and ideas to gain market share and involve the community. I highly recommend Laura and enjoy working with her." "Our firm has worked with Laura over the past year and have found her to be simply outstanding. She is truly concerned about the quality of work she does for us as well as the value of her work and is thorough and complete in every way. I would highly recommend Laura for all of your marketing needs." "Laura has become an asset to our company. Her fresh ideas, marketing experience and consistent follow through set her apart from other marketing companies we have worked with. She truly cares about her client's and their success. I would highly recommend her to any business that wants to outsource their marketing." "I highly recommend CommCore Marketing for your marketing needs. I have known Laura DeVries for many years, she is professional, approachable, and talented. CommCore Marketing is the marketing choice for your business." "I would highly recommend Laura DeVries if you are looking for a marketing specialist in social media. She does all of the research for you. I have engaged with many more people on social media since Laura took over this aspect of my business. Thank you Laura, you are the best!" "I have consulted with Laura on many things over the last year. Her creativity, attention to detail, and promptness have made her an invaluable resource for my business. I'm excited to continue working with Laura and highly recommend her services." "I was referred to Laura by multiple associates whose business I respect and revere. She absolutely blew me away with what she had to offer. She has helped me so much the last few months. She has taken projects that have been in the "to-do pile" for years off my plate and implemented systems that are going to have a lasting impact on our bottom line. Thanks Laura and keep up the great work!" Ready to get started? Contact us today by phone, email or via our online form. We look forward to working with you!